Do I have to take the placement test? Is an appointment required and how do I make one? I had accommodations in high school, can I receive those same testing accommodations here? Are there any study materials? What do I bring on test day? How can I view or request a copy of my testing scores? Can I take the placement test more than once? Graduated from a US High School within the last 10 years. 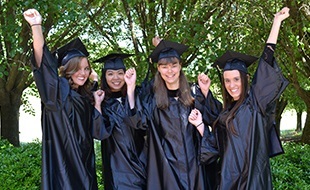 Has earned developmental course credit, or has successfully completed a college-level English or Math course. Has completed an eligible placement test within the last 10 years. 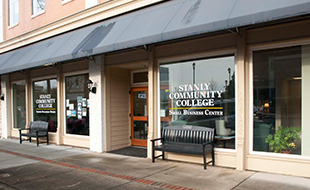 Has an Associates or Bachelor's degree from a regionally accredited institution. If you do not meet any of the above criteria, please schedule your placement testing appointment. Please review our Resources for RISE page for more information. Yes. 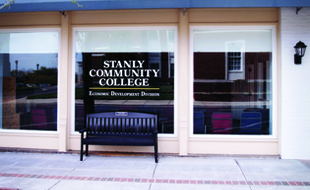 Schedule your appointment by visiting the college's website, www.stanly.edu. Access the Testing and Assessment page under the Current students tab on the homepage. On the Testing and Assessment page, locate and select the link Schedule a Placement Test under the Testing Information heading. No. Students wanting to take the test to transfer scores to another institution must pay $20.00 in the Business Office and should request a remote test voucher from the institution they are wanting to transfer scores to. Yes. Please contact our Director of Counseling and Special Services prior to testing. The accommodations available are: extended test time, enlarged print, Braille, and sound. Yes, please select the link below for the study guide app or the .pdf version of the study guides. There are two locations. Please make note of which one you select on the appointment calendar. Please arrive at least 15 minutes prior to the scheduled testing time. Pencils and scratch paper will be provided during the testing session. External calculators are not permitted. There is a calculator available within the testing software for the math portion. Please contact your success coach to review and receive a copy or your scores. Please refer to our Admissions Placement Test Policy for more information. The length of time for testing depends on how many parts of the test you need and your testing pace.